Fully Protected, Fully patented, and full return on investment in a short time. Gantik™ is a multi-layer protected product and service. Gantik™ licensee’s investment is completely protected from “copycat products.” Gantik™ technology is protected by several Patents and Divisional Patents. 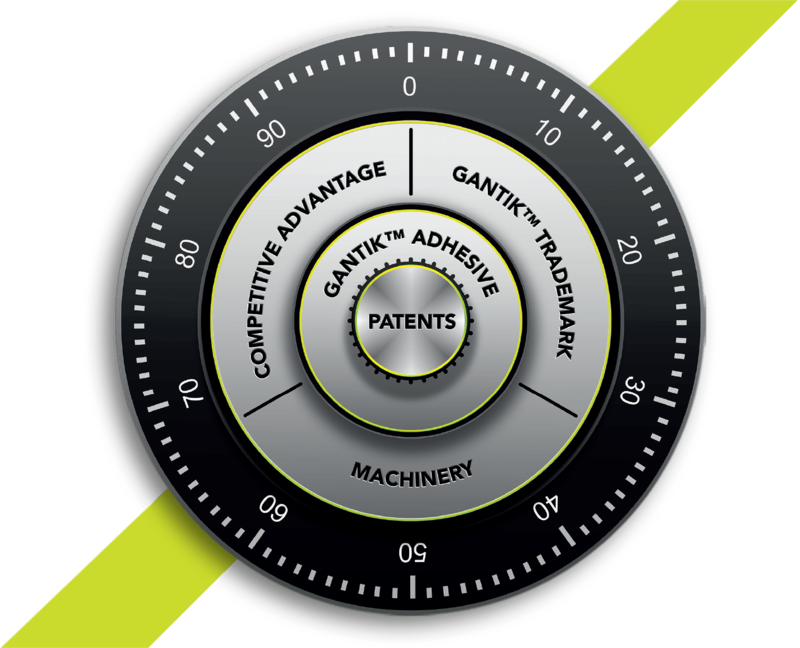 The production equipment (9 Septembar machinery and Gantik™ formulated adhesive) along with the method provides the only approach in the world that can produce the Gantik™ Licensed product. If you are interested to learn about the finances or legal side of Gantik™ in further detail, please fill out our expression of interest form below and one of our team will get back to you and share any relevant information with you.